The Homeowners find themselves in financial trouble due to loss of job, reduced income, medical crisis, divorce or separation, high credit card debt, etc. The Homeowners default on their mortgage and start receiving notices from their lender demanding payment and threatening foreclosure. The Homeowners panic. They are stressed out, cannot sleep and have no knowledge of what to do or who to turn to. At this point, most individuals will opt for a short sale. Our short sale clients cross all demographics as to age and income. We will consult with the homeowner and help them to list their property for sale. Our clients understand that their home is no longer worth what they paid for it and their mortgage is higher than the current fair market value of the property. We will provide the Homeowner with an experienced and knowledgeable short sale realtor. Marketing a home that is being sold as a short sale is handled very differently than marketing for a regular sale. Since the short sale homeowner cannot retain any proceeds from the sale, the goal is not to obtain the highest price, but rather to get the homeowner out of debt with no balance due on his/her mortgage. We pride ourselves in being empathetic to the concerns and needs of our clients; we make ourselves available after hours to discuss the expectations and to guide our clients through this stressful time. We will provide comparative analysis to determine the true market value of the house. 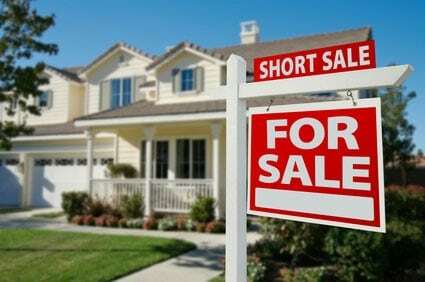 Short sale homes are listed as "distressed" properties, which lowers the value of the homes due to the potential buyers having to wait for the homeowner's lender to approve the sales price (called "short sale approval"). Once your house is listed, our realtors will market the property aggressively. No short sale negotiations can begin until a contract for sale is obtained. The lender cannot approve a short sale without a contract, as they need the sales price to determine the net amount they will receive after costs are deducted. We will prepare a proposed Closing Statement (called a HUD-1) that will outline all the costs associated with the sale (i.e. real estate commission, realty transfer tax, attorney fees, etc). Once the property is under contract, the file is ready for us to begin negotiations. The time frame for short sale approval can be anywhere from 3-6 months after the paperwork is submitted to the lender for review. The time frame is affected by several factors, such as the lender, the degree of cooperation by the homeowner, and the buyer. We make sure that the lender's short sale approval releases the homeowner from any deficiency judgment. After the closing, our client walks away with a fresh start. Sometimes good people find themselves in bad situations. If the time comes when you cannot pay your mortgage and find yourself in default on your loan, your lender my initiate a foreclosure. Leading up to foreclosure will be a barrage of warning letters, notices, and phone calls from your mortgage lender to inform you that foreclosure proceedings will begin, unless you become current on your mortgage payments. The foreclosure process in New Jersey is a slow moving procedure due to the backlog of cases caused by an insufficient number of judges to hear foreclosure cases. The NJ foreclosure process starts with letters, followed by a Notice of Intent to Foreclose. After a Complaint in Foreclosure is filed by the lender or servicing company with the court. The New Jersey foreclosure process finally ends with a Sheriff's Sale, when the homeowner's house is sold to a bidder or taken back by the lender. It is at this point that the homeowner has lost the property. This process can take a few years to accomplish and the homeowner maintains ownership until the Sheriff Sale is completed. The mortgage lender is required to send the homeowner a Notice of Intent to Foreclose prior to filing a foreclosure action. The Notice is written in the form of a letter and is required to be sent by certified or registered mail with return receipt requested. Under the New Jersey Fair Foreclosure Act, this letter must be sent at least 30 days before a Complaint of Foreclosure is filed against the homeowner. This gives the owner the chance to cure the default within the allotted 30 days. The reason that the mortgage lender intends to foreclose on the property, usually that you are in default on your payments. Information on how to "cure" the default, which usually means becoming current on your loan. If you send the lender the past due payments and become current on the mortgage before the 30 days are up, the lender must reinstate your mortgage. A statement of what is owed and how much money needs to be paid to become current on the mortgage loan. The statement must, also, include the date by which payment must be received under the required 30 day window. There must be information regarding what will happen if the default in payment is not cured. The mortgage lender must include information letting you know that you have the right to sell the property during the foreclosure process. It should, also, inform you that you have the right to contact an attorney and provide information for the county lawyer referral service. It should provide a list of resources to assist you in curing the default. If you are unable to cure the default in the mortgage, the next step would be for the mortgage lender to file a Complaint in Foreclosure against you, which could be as soon as the 30 days from the Notice of Intention to Foreclose have passed. In reality, there are so many foreclosures in New Jersey, it is unlikely that the lender will file the Complaint that soon. There have been instances where the Complaint is not filed for many months after the homeowner receives the Intent to Foreclose Notice. However, this should not be counted on to happen. After the Complaint is filed, the mortgage lender's attorney will have it served on you with a Summons. Sometimes the lender will, also, send a copy by regular and certified mail. Information will, also, be given about the Foreclosure Mediation Program. To participate in the Foreclosure Mediation Program you must request it within 60 days from when you received the Complaint. This process allows homeowners in default and their mortgage lenders to sit down with an objective third party, called a mediator, to attempt to resolve the mortgage crisis. The homeowner will be required to provide financial information and other documentation in preparation for the mediation. This process encourages lenders to be more flexible in coming to a mutually satisfactory resolution by modifying the loan, instead of foreclosing on it, which can take months or even years to accomplish. The N.J. Foreclosure Mediation Program is another avenue to assist clients in keeping their homes. We have attended many mediations and have been able to work out favorable solutions for our distressed clients. The homeowner has 35 days from receipt of the Complaint and Summons to answer the Complaint. If you are contesting the foreclosure, your Answer (which is a legal document that must be filed with the court) will be given to a Superior Court Judge in the county in which the property is located. The Answer must set forth the reasons why the homeowner believes that the lender does not have the legal right to foreclose on the property. If the homeowner is not contesting the Complaint or simply does not answer the Complaint, which often happens because the homeowners are unaware of their options, then an Entry of Default is requested by the mortgage lender. The mortgage lender must send a copy of the Notice of Motion for Default and provide a specific amount of time to bring the mortgage current. If the mortgage is not made current by the specified time, the Court will enter a Default Judgment in favor of the mortgage lender. The final step in the foreclosure process is the Sheriff's Sale. It is at this point that anyone can buy the property, assuming they meet the minimum amount the lender requires. If the minimum is not obtained, the lender will take the property back and receive title by Sheriff's Deed. You will have the right to redeem the property back for only ten days after the property is sold. If you are facing a foreclosure situation, it does not have to mean that your home is lost. There are many options available to homeowners for avoiding a foreclosure. A lengthy foreclosure process is not in the best interests of the mortgage lender, so many lenders are willing to work with you to come to an arrangement that works in favor of both sides. If you are concerned about a foreclosure or have already received notices, contact us right away, so that we can get started evaluating your situation and getting you back on track to keeping your home. Whether you are an experienced property owner or are new to the real estate world, it can be difficult to handle all the property issues that can come up on your own. When a real estate matter threatens to affect your property, investment, or home and all that you have put into it, we are ready to assist you immediately. Property and boundary disputes can create a very disturbing legal ownership problem. It is can be a very emotional issue for homeowners when it involves your primary residence and can affect your life tremendously. We have been able to resolve many of these New Jersey real estate issues, often without having to go to court. By reaching a settlement outside of court, we can save homeowners a lot of heartache, time, and money. Ms. Sommer has experience with title work from her many years as the owner of a title insurance agency and has used that experience to resolve many complex title issues through a common sense strategy. She has been able to "quiet title" to properties that have involved numerous liens and encumbrances, including federal and state tax liens. Each property is unique and title solutions must be customized for each property and its unique situation. We welcome your questions regarding problems or issues you may have with real estate that you own, wish to purchase, or have a dispute over. Contact us today, so that we can schedule a consultation to evaluate your situation and help you resolve it. © 2018, Sommer Law. All Rights Reserved.